What if I told you that 25% of people are exposed to 168 chemicals on a daily basis. 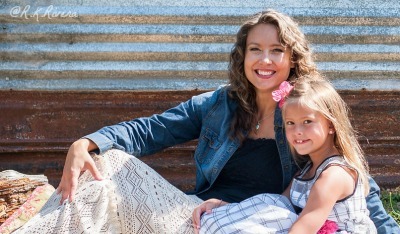 Here's how you can eliminate them from the products you and your family use every day. Make your own natural products at home. Know exactly what's in the products you and your family use. 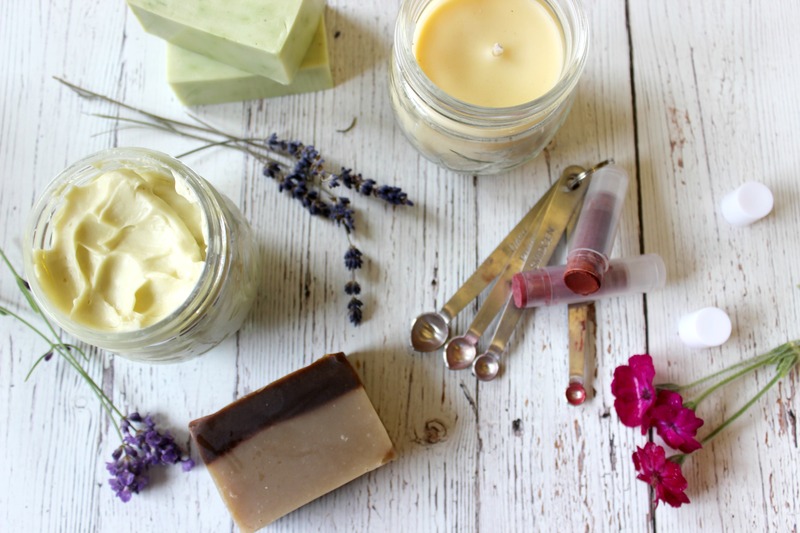 How commercial products have stripped soaps and lotions of their skin nourishing properties, causing you to use more and instead shows you how to make them at home with natural skin loving benefits. 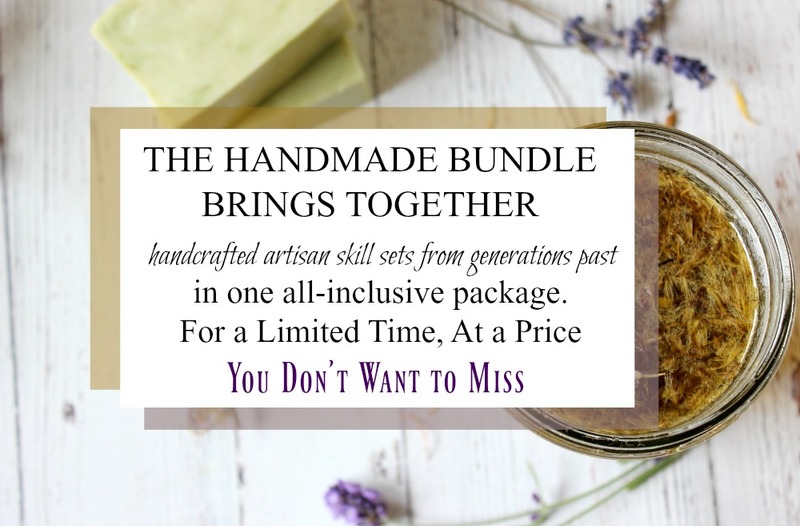 Easy recipes that take less than 60 minutes to make... half the price as store bought items... and uses herbs and natural oils to create your own soaps, balms, salves, creams and candles. Problem is, huge companies aren't always looking out for our best interest or health and their products show it. Whatever happened to the art of hand crafted and satisfaction creating items that nourish the body and home? You've wanted to make your own products and may have tried a few things, but you're a little bit intimidated by all that's involved. You don't want to waste time or ingredients. But you don't want to keep using the store bought processed filled stuff, but you don't have time for complicated. No worries, anyone can learn how to make their own handcrafted items to create a nourishing wholesome home using simple recipes and ingredients. That means you, my friend. Yes, you! 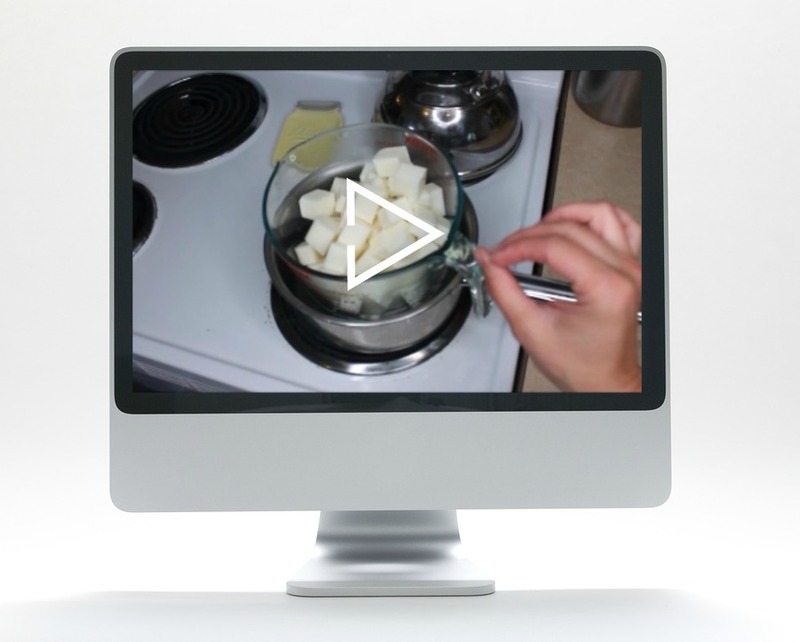 Once you learn how satisfying it is to make it yourself, you'll be hooked! Save money. Making your own homemade products is usually much cheaper than purchasing it from the store and of better quality. Not to mention you're not wasting time in traffic or checkout lines, score! Better for the environment. Instead of wasting ingredients and preservatives, you can minimize the amount of resources that are used, which is a big relief to the environment! Reduce your chemical load exposure. It seems synthetic ingredients are in everything nowadays: cleaners, food, air fresheners, even our clothing. It's estimated that 25% of women are exposed to 168 chemicals daily. We can reduce our exposure and help give our bodies a break from the constant exposure. Better taste/performance. Sometimes, the store-bought version can’t even compare to the homemade one. I started making almost everything at home and from scratch over 8 years ago - after a cancer scare, I knew the only way to reclaim my health was to cut out all the processed chemicals and ingredients in the store bought products we were using. The only way I could avoid ingredients I didn't want and to afford it, was to make it myself. I credit this to the healing of my stomach and the building of a natural home and medicine cabinet. At first I was skeptical if the items and things I made at home would work as well as the store bought items. I mean, after all, wasn't that the reason people started buying from the store in the first place? And if these natural ingredients worked, why wouldn't the big companies use them to begin with? Plus, what if I put in the time and the ingredients and it didn't turn out? None of us have time or money to waste. Well, not only did they work, but for our family, they've worked better than the store bought items. Plus, I share the troubleshooting tips I've learned along the way so you can skip the learning curve. 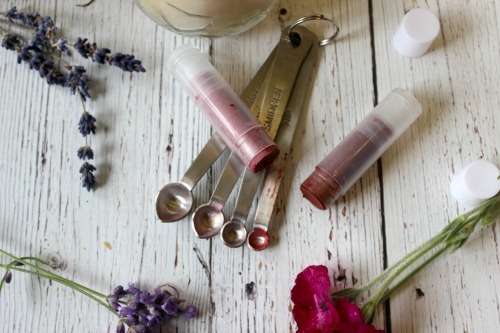 Your lip balm and lip stick was infused with herbs that helped nourished your skin. If you wanted some color, you could customize it easily for the exact shade that complimented your skin. What if it actually moisturized and stayed on for long periods of time due to beeswax, not petroleum? Your soaps didn't have all of the glycerin stripped from them? They didn't leave a film on your skin and weren't filled with synthetic fragrances and dyes or fillers. Instead, they used natural plant matter, were filled with nourishing oils, and used essential oils for your favorite scent combinations. 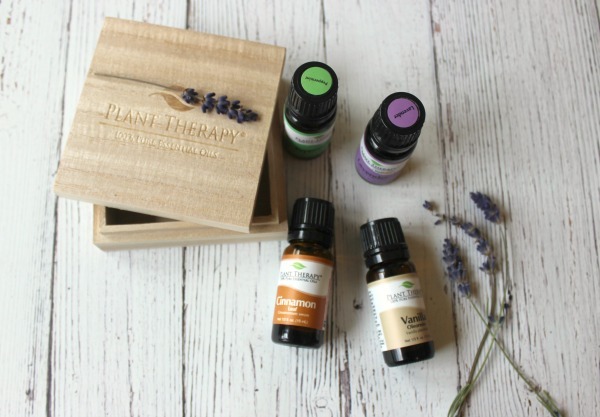 It becomes much easier to fill your home with good for you nourishing items when you know the exact ingredients that go into your products and how to do it yourself. 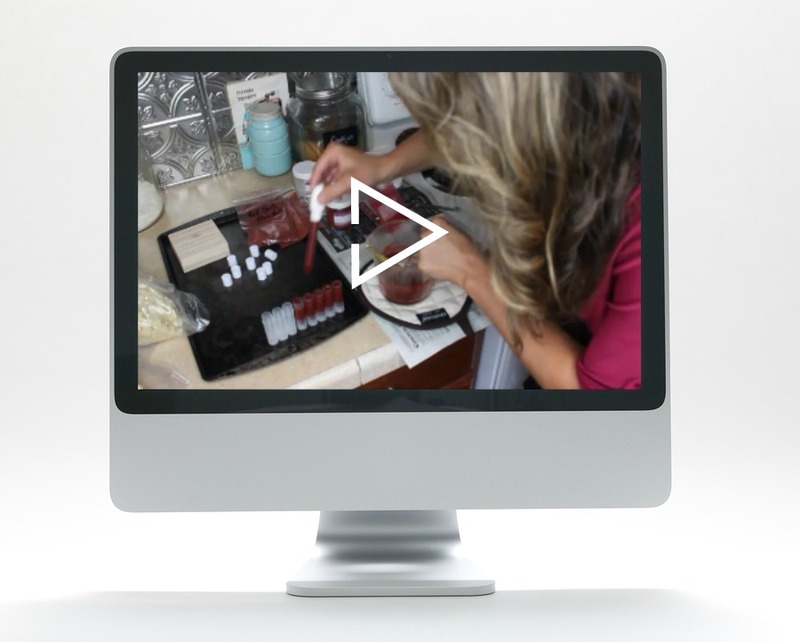 This is why I've taken all of the recipes and tutorials I've been using in our home, and created easy to follow tutorials, recipes, check lists, and guides so you can do the very same. 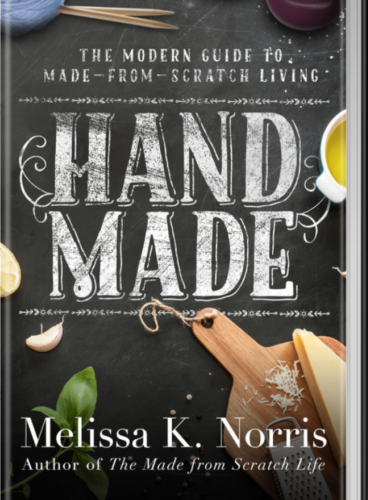 Start making your own handmade products today with over $187 worth of items in the physical paperback copy of HandMade: the Modern Guide to Made-from-Scratch Living, 5 Masterclass Videos and tutorials, e-booklets, charts, guides, and bonuses for only $57! Colorant guide for creating custom soaps and lip balms. Light your home with natural burning beeswax candles in Mason jars! Ingredient and Supply checklist with bonus coupons! What if I don't love it? No worries, the course comes with a 30 day money-back keep the bonuses on me guarantee and the paperback copy of the book, with a 14 day money-back-guarantee backed by Barnes and Noble. Note: the physical copy of Hand Made the book is only available to United States residents within this offer. Learn how to make cold process soap with lye using natural spices as your colorants to create a swirled/layered bar. Learn how to make melt and pour soap using dried herbs for a natural colorant. 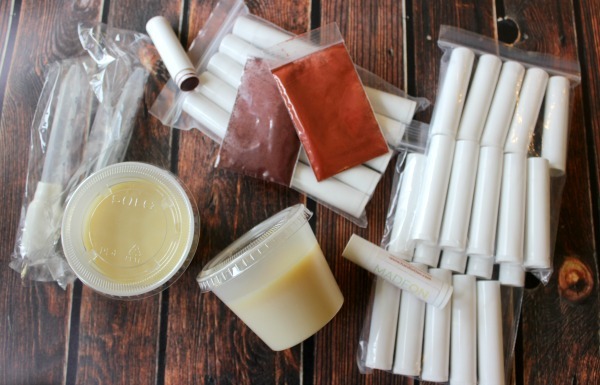 Make your own nourishing lip balm with infused herbal oils and step by step instructions on how to create your own custom colors. 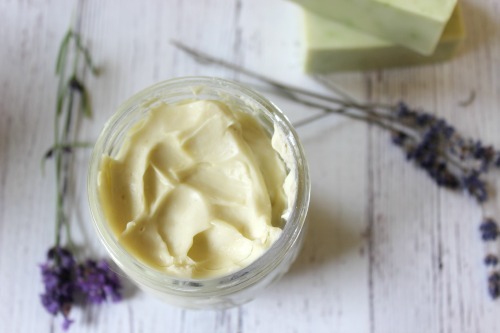 Use herbal infused oil to create your own luxurious whipped body butter. This body butter is infused with herbal goodness, perfect for ultra dry skin that needs some nourishing tender loving care, but smells good enough to eat. Most store bought candles contain synthetic fragrances, wicks that may contain metals, and other ingredients that can be toxic when burned. While some of the supplies you'll most likely already have in your home, there are some you'll need to purchase. I've partnered with these 3 fabulous companies to help you save big without sacrificing quality. 3. Every homemade and handmade home needs an apron, and we have a custom HandMade apron from FlirtyAprons.com with a 45% OFF coupon just for you! Make nourishing soap with natural colorants and scents. Knowing how to make your own soap was something almost every home of old knew how to do and did often. This is quickly becoming a lost art, not only are we in danger of losing knowledge, but we're sacrificing it for an inferior product. 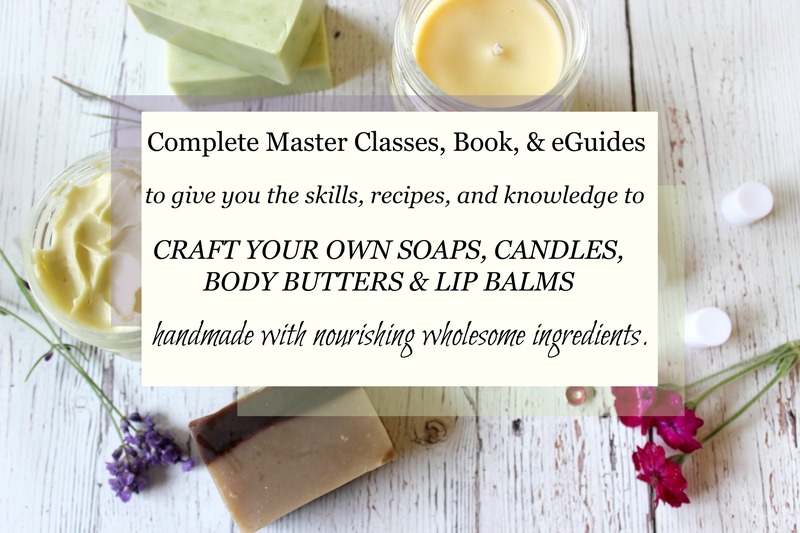 Start with melt and pour to gain confidence (no dealing with lye) or jump into making it all from scratch with safety tips in our cold process soap masterclass. 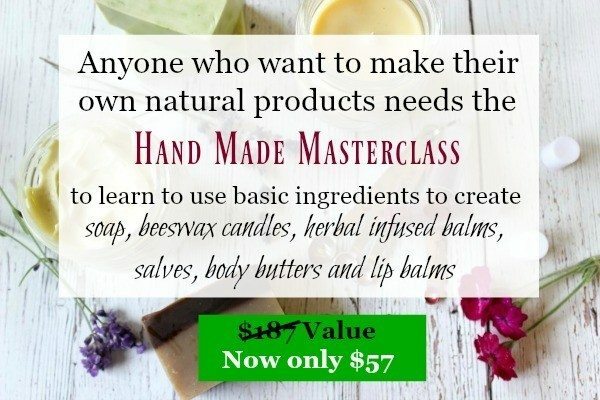 Create herb based body butters, lip balms and moisturizers. Many of today's lotions and moisturizers are packed full of preservatives, synthetic fragrances and dyes and use water as their first ingredient. While water is great for us internally, as a moisturize on the skin, it doesn't do the job. Create your own with herbal and essential oils based moisturizers with ease. Your Own Beeswax Mason Jar Candles. Candle making used to be a yearly activity in the pioneer homes. Not only did they need a way to create their own light come fall and winter, but they used common items they could create or grow on their land. 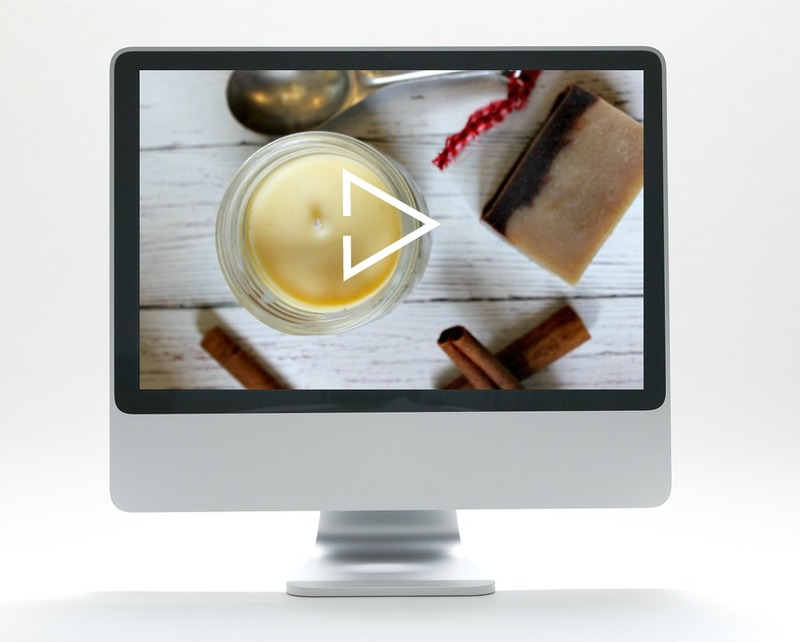 Instead of burning synthetic fragrances and candles with questionable ingredients, create your own natural candle, perfect for dim days, power outages, and scenting your home with the smell of warm honey. Handmade gifts people will use and want. These are items we use every day in our homes or on our bodies. Instead of buying something just for the sake of having something to give, craft something that will nourish those who receive it. Let's take back the holiday season with gifts from our hearts and hands. Spend time with your loved ones while learning. Invest in your relationships with friends, loved ones, kids, and or/grand kids by making gifts together. Not only are you learning and teaching them valuable skills so they aren't dependent upon stores and large companies, but you're creating a tradition of time spent together that will last a lifetime. What if I don't love it? No worries, the course comes with a 30 day money-back keep the bonuses on me guarantee. Note: the physical copy of Hand Made the book is only available to United States residents within this offer. Click any of the "Get My Copy Now" buttons and go through our easy checkout system. Check your inbox from me, Melissa K. Norris, it will be called "Here's your access instructions [Handmade Masterclass]". Inside you'll find all your access instructions, coupon codes, download links and log-in information. Log-in to your eCourse where you'll find all of the Masterclasses, eGuides, Downloads, templates, redeeming your bonus offers and other resources. 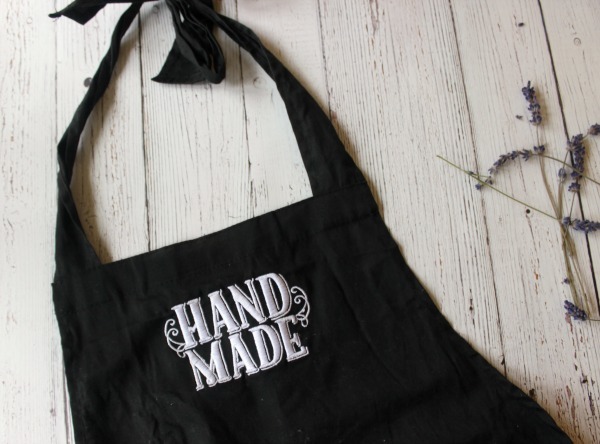 Get started crafting all of your handmade products, you might want to make extra, one for you and some to share! 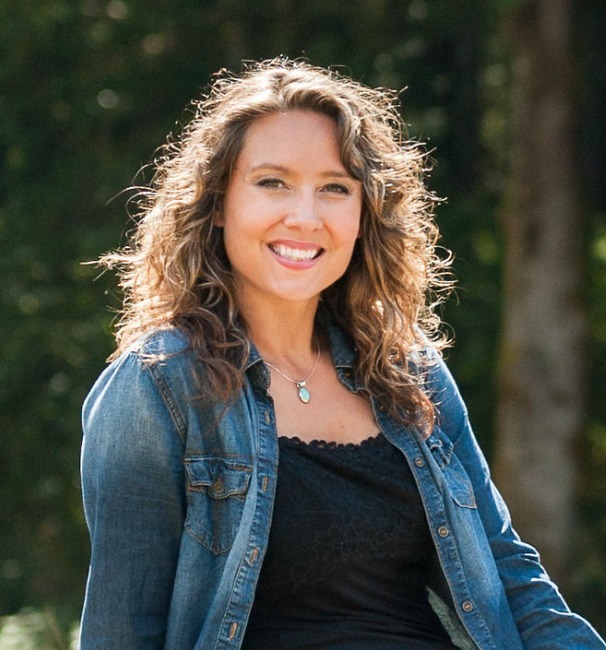 I’m just a plain country girl who loves Jesus, playing in the dirt, stuffing food into Mason jars (after I wash my hands of course), and hunting down as many traditional old-fashioned skills as I can to put into use on our homestead. I believe simple is better and everything just tastes and looks better in a Mason jar. The physical paperback copy of Hand Made is being fulfilled by Barnes and Noble and has a 14 day-money-back guarantee here. Your copy is in stock at the warehouse, waiting to ship out Tuesday morning, November 28th. The paperback copy offer is only available to United States and Canadian residents in this special package offer. Nearly a thousand readers have fallen in love with Hand Made with easy recipes, natural homemade cleaners and body care products, to the simple wisdom to managing our homes and gardens, same as I have. This means, even if you return the paperback copies for a refund, you will still have access to the digital copy, bonus items, Masterclass videos, and coupons, everything you need to make your own natural items at home. All you have to do is email [email protected] requesting a refund, or you can call me at 360-391-5545 and I will process your refund immediately. That's it. Now, some people may take advantage of this, but I believe in this way of life, because it's changed my life, my families, and literally hundreds of other people, so even if someone does take advantage, it's worth it to me to get these books and help into the hands of others. Do the videos expire or have a time limit? No, you can go through them at your leisure and as many times as you like. When will my physical copy of the book come? The physical paperback copy of Hand Made is being fulfilled and shipped by Barnes and Noble. Your copy is sitting in stock at their warehouse, waiting to ship out bright and early Tuesday November 28th. Depending upon your location from the warehouse, you can expect your bundle of joy to come in 7 to 14 days, but you'll get immediate access to the digital copy so you can start immediately reading if you wish! Is this for United States residents only? The Hand Made Masterclass is open to everyone including the digital copy of Hand Made: the Modern Guide to Made-from-Scratch Living. However, the physical paperback copy of Hand Made with the Masterclass offer is only available to United States and Canadian residents. Grab your copy and instant access for just one easy payment of $57 Black Friday Sale! What if I don't love it? No worries, the course comes with a 30 day money-back-guarantee and the paperback copy of the book, with a 14 day money-back-guarantee backed by Barnes and Noble. Note: the physical copy of Hand Made the book is only available to United States and Canadian residents. My books, videos, and Masterclass is for informational purposes only. It is not intended to take the place of professional medical advice nor is it a diagnosis or treatment. Consult with a medical professional before making any changes. We do not assume any liability for possible adverse consequences as a result of the information contained within any of our material, written, audio, or video.